Trapped miners not Conrad's problem! Letter to BS: What is the politics of Meghalaya about, apart from income? As family members of trapped miners lose hope, the Supreme Court has agreed to hear a plea seeking urgent steps to rescue the 15 miners who have been trapped inside an illegal coal mine in Meghalaya since December 13. The families of miners, trapped inside a flooded coal pit for 21 days in Meghalaya, said they had lost all hope on them being alive even as rescuers struggle to dewater the pit. The matter was mentioned on Wednesday for urgent listing seeking a direction to the Centre and other authorities concerned to prepare a standard operating procedure (SOP) for rescue operations. The plea also sought the assistance of the central government in utilising the services of the Indian armed forces -- The Indian Army, Indian Navy and Indian Air Force. The petition has also requested the Centre to deploy high capacity self-priming pumps for technical support during the rescue operations. The plea has also sought directions to the concerned authorities for airlifting the pumps to the rescue site. 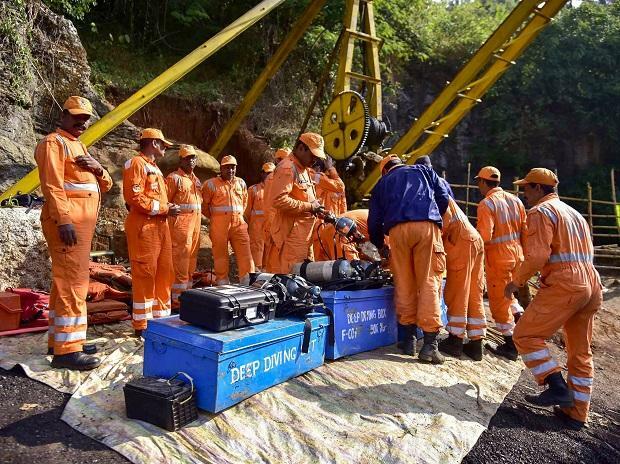 Coal India officials have already arrived at the rescue spot with a high-capacity submersible pump which can pump out 500 gallons of water per minute. India's leading pump manufacturer, Kriloskar Brothers Limited (KBL), has also joined in with four specialised high-capacity dewatering pumps. The plea has asked Coal India Ltd to provide necessary technical know-how and more equipment at the rescue site. The petition has also sought directions to the concerned authorities for airlifting the pumps to the rescue site. ALSO READ: Letter to BS: What is the politics of Meghalaya about, apart from income? On December 13, the rat-hole mine was flooded when water from the nearby Lytein river gushed into it, trapping the miners. Rat-hole mining involves digging of narrow tunnels, usually three-four feet high, for workers to enter and extract coal. Family members of at least seven trapped miners have already given up hope on their rescue and have requested the government to retrieve the bodies for last rites.